To my Grandma Mabel, cooking was an expression of love and caring. As I stood at her elbow and watched her mix, measure, chop and stir; I became fascinated with how food went together to send a message. As a wife, mother and grandmother I still enter the kitchen with the purpose of not only filling the tummies of the ones I love, but also of sending a message of how much I care about them. 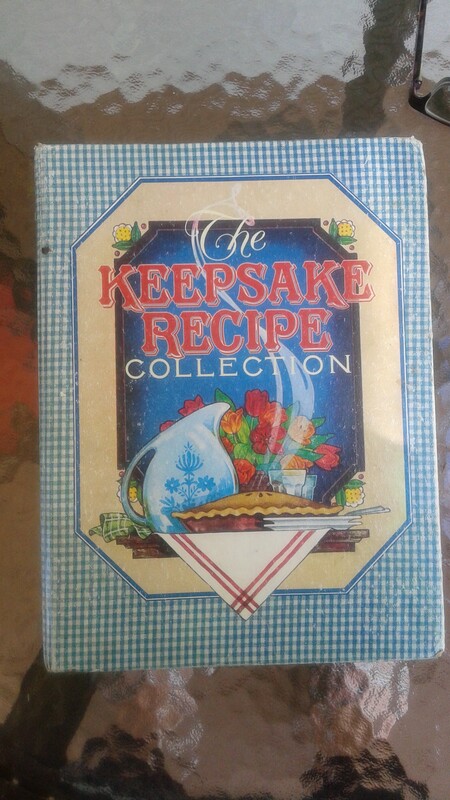 Recipe keeping, for me, began in a Current Inc. Binder, The Keepsake Recipe Collection, for hand writing recipes. I soon filled the binder and began the loose-leaf version of keeping recipes. Not at all a good plan, because I can lose piece of paper while it is still in my hand. By the time Richard, my husband, and I invested in a desktop computer, I was more than ready to begin cataloging the mess into a Word document. Being intrigued with the beginnings of recipes, who they came from and the memory surrounding the first tasting, I began writing stories to go with each recipe. Even though I shared a copy with my daughters, father-in-law and a few friends, I don’t think anyone actually read any of the stories or used any of the recipes. If they did, I never heard about it. Before long there were so many recipes with their corresponding stories, I could not find my favorites and decided to implement more organization. I divided them into categories but before long found that system all too cumbersome as well. By the time I had my own laptop computer the recipe file had grown not just roots but branches and just finding one could take a half and hour. I printed a paper copy of the file and put it in a binder. It seemed fitting to start and end in a binder, I thought, as I tucked it away in my cook book cupboard. I continued adding recipes and stories to the original Word document but put the binder out of my mind. In a couple of days I will tell you how something out of mind will still be on the heart and determined to turn from dream into reality. This entry was posted in Writing and tagged e-books, writing by PaddleCreekWriters. Bookmark the permalink. I, too, love to collect recipes….and have cards, newspaper clippings and many treasured handwritten favorites from my Mother. Unfortunately, I am not really into cooking anymore so they languish in plastic boxes unappreciated. Sigh….